I watched with pride as HP’s MD of Central Africa and Nigeria, Ify Afe, took to the stage at the 2018 Global Citizen Festival: Mandela 100 to announce our pledge to empower another 100,000 learners across Africa in the next three years. This follows our commitment at last year’s Festival to invest more than $20 million in improving education for over 100 million people by 2025. This commitment led me to reflect on the amount of untapped potential the CEMA region holds in terms of innovation and advancement. And nowhere are HP’s four innovation megatrends embodied more than in Africa: currently undergoing rapid urbanization, the continent is expected to represent 40% of the global population by 2100. Its population is getting younger and by 2035 will boast more working-age people than China or India. Techhubs are emerging across the region, and 340 million Africans are on the internet already; and the rapid adoption of mobile technology is accelerating innovation and infrastructure development at an exponential rate. And yet, business leaders in the region consistently call out inadequate education as a workforce problem. Levelling the playing field is both a business and human imperative – and technology gives us the best chance of doing that. As one of the world’s leading technology companies, HP has the scale, influence and resources to address this issue in underserved communities. 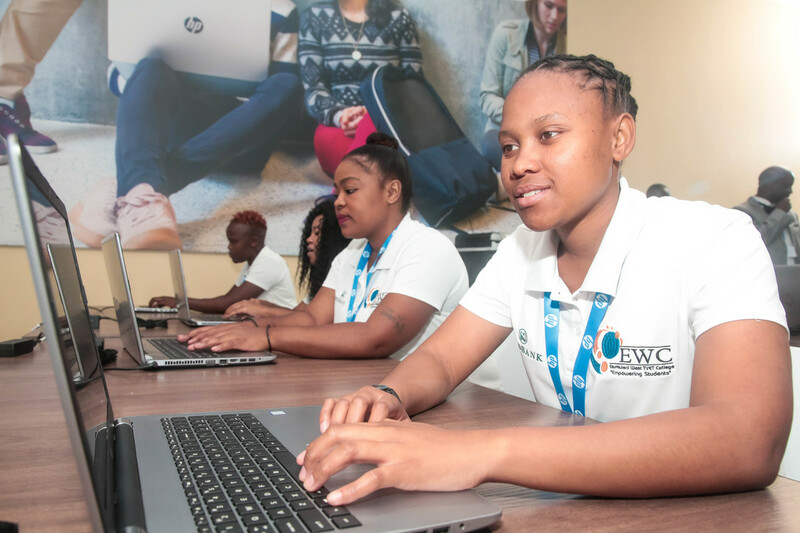 In Johannesburg, where yesterday’s festival took place, HP’s free online business and IT skills training, HP LIFE, takes on a physical form with the opening of South Africa’s first HP LIFE Centre. As well as offering free skills training to ensure local entrepreneurs can unlock their potential, I hope the physical centre will promote community, engagement and collaboration – all things we know can spur innovation on. Since launching in 2012, HP LIFE has already reached over 744,000 people. Working in conjunction with other initiatives including HP World on Wheels and HP Learning Studios, and our international partnerships, it will continue to play a key role in our mission to bring quality learning and digital literacy to those who will benefit from it the very most.